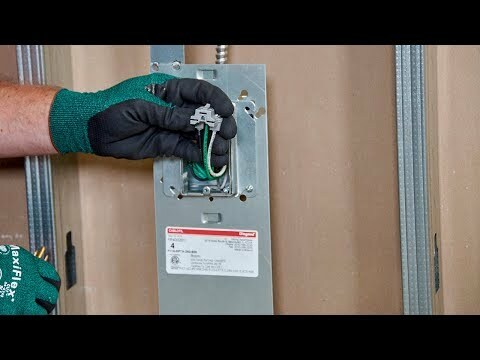 Make it easy to prefabricate electrical assemblies for branch circuit wiring. Manages multiple-sized MC cable types so no attachment to the stud is needed. Fast installation anywhere between studs and ensures correct device mounting height without measuring. Predrilled mounting holes in the base and slots. 18 ga. pre-galvanized steel construction. UL listed. Installed by kicking the lower flange under the wall plate.